Al Farees has taken initiatives to offer renewable energy development services delivering solar and wind energy project. Al Farees is based in Baghdad, Iraq and is a company which has various construction operation from different industries. By means of renewable energy we have expertize in in the design, development, financing, construction and operation of renewable energy power plants in Iraq and other Middle Eastern Countries. Our goal is to provide the development, design, construction, financing and operation of wind farms and solar power plants. Al Farees has strong relationship with the national and international investors in order to perform sustainable projects including wind farms and solar power plants. Partnering with the Professional developers and supported by the investors, Al Farees is dedicated to offering successful sustainable projects with all technical, engineering, construction and operation-maintenance capabilities. Al Farees has the right professionals of specialist personnel for all the requirements in order to support the sustainable energy projects. 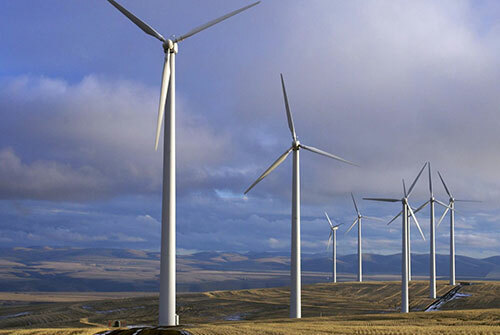 We have an absolute team of engineers to assess the wind resource, procurement of the wind-turbines, asses the technological capabilities of the wind turbines, analyze network and the design of the connections. Al Farees has the financial resources, specialist partners and professionals in order to execute solar and wind power projects. We have the capacity to offer project development, construction and operation-maintenance of such facilities. The integration of the Engineering, Procurememt and Construction provides us the right capabilities to support our effort to build up sustainable energy plants. Gas, fossil fuels and other energy alternatives- each with their unique advantages- collectively pose a threat to power plant operators and end users: volatility and insecurity of price. The price of gas fluctuates across regions and, for fossil fuels, in a cyclical fashion. Renewable energy prices on the contrary have been continually decreasing, with the most significant price drop being observed in solar – 80% over the last seven years. We have also seen prices for onshore wind drop by 25%, while offshore wind starts to show the sign of decreased price as well. 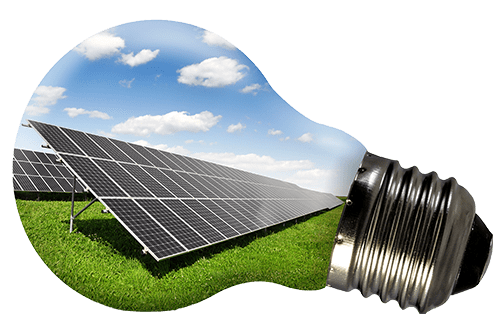 Depending on the captured amount of the energy of the sun, Solar Technology can be commonly classified as active or passive and it can be used to support our energy consumptions at hour houses as well as the industry. The current energy resources such as gas, fossil and their alternatives significantly creates hazards to the energy plant employees as well as the people living within the environs of the plants. Comparing with the renewable energy resources they are not sustainable and give incredible damages to the atmosphere respectively. 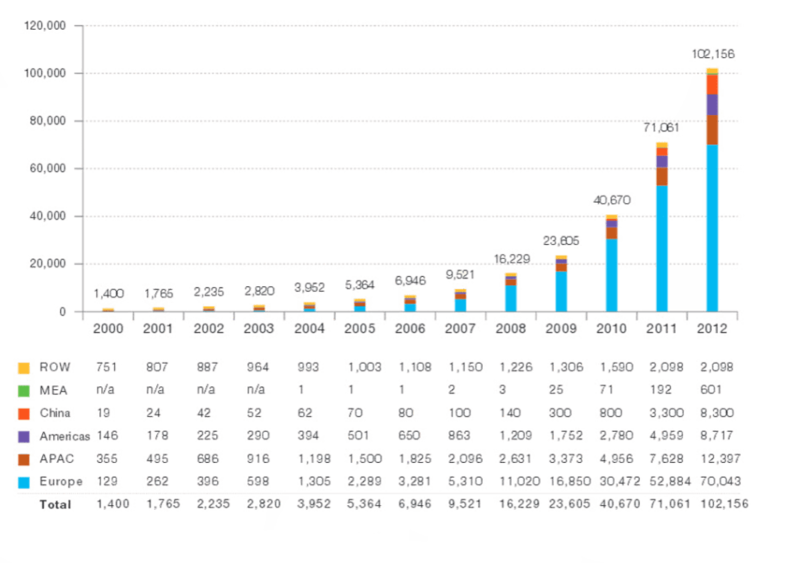 The commercial value of the gas and other fossil resources increases each year passing by. On the other hand, the renewable energy resource prices are decreasing in a continuous trend over the recent decades. According to the news resources the price of the renewable energy was seen to be dropped by 80% over the last seven years and it has also been seen that the prices for onshore wind drop by 25%, while offshore wind starts to show the sign of decreased price as well. Renewables have been heavily encouraged by policy measures and financial support, with the explicit aim of driving costs down through early deployment. But the necessity for this is disappearing as we speak for solar and wind (and it has been for hydro for a while now), bringing to the fore solid competitors to fossil fuels or nuclear power, especially when long-term price evolutions are part of the deals. 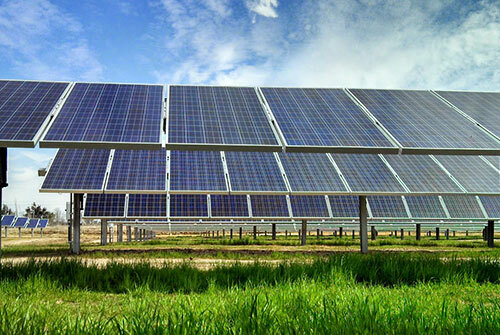 The average wind or solar farm is built for up to 25 to 30 years of operation, or even longer for hydro power plants. The operator is aware that the equipment will be refurbished and expects that the newly upgraded solar module or wind turbine will be considerably more efficient at a lower cost. Therefore renewables shall continue to generate electricity for a very long time while their efficiency continues to increase, further boosting competitiveness. Also A diversified portfolio of energy assets contributes to a long-term, sustainable energy strategy that protects the power supply from market fluctuations and volatility. Al Farees Construction and its solution partner have the capacity and expertise to deliver renewable energy projects. We have a team of engineers and managers who are the subject matter experts. From the development to the construction as well as the operation and maintenance of the renewable energy facilities, Al Farees has the right staff, managers, business associates and consultants to provide the best solutions in the sector. We are dedicated to succsess of our development skills. Great skills such as development, construction and operation of wind farm or a solar power plant are required. Al Farees has the right skills fort he optimization of any project regarding renewable energy. We have a continuous improvement strategy to increase our capacity utilising specialist software tools for the technical work including design and energy yield predictions. Al Farees offers unparalleled multi-disciplinary expertise and rapid response capabilities to provide stewardship in addressing complex business, engineering, and scientific problems. We provide our clients with a team of business, engineering, construction, environmental, risk, and health specialists that is unique in the industry. Al Farees has the required network for the suppliers in order to procure the required equipment and the elements required for maintenance of the energy plant units whether it is a solar power plant or a wind farm. Al Farees follows the technological developments and fairs in order to pace the Technologies which will increase our capacity in the work we do. The procurement of the equipment and machinery would be the biggest constraint over the projects, however Al Farees overcomes difficulties to the specialist procurement and procurement planning personnel. Al Farees has the capacity to offer the construction of turnkey the renewable energy plants. We have the right people including project managers, site engineers and manpower in order to provide successful delivery of the projects. We are a Professional company who can install large projects and even residential small projects for individual use at remote areas. The development of a renewable energy project requires many inputs, an important element of which is the commercial package required for construction of the new generating facility. Al Farees has the in-house skills and close links with banks, finance houses, insurers, manufacturers, consultants and legal specialists.